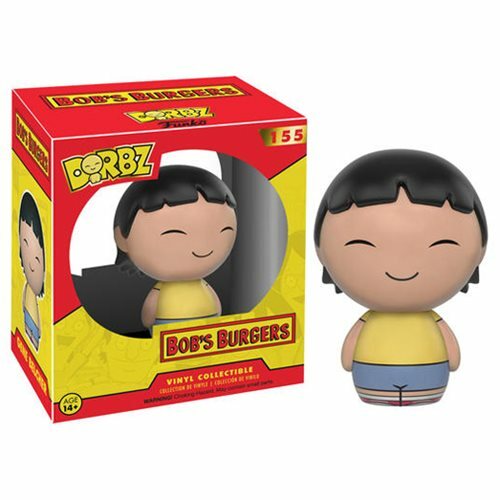 “A fart is like a fingerprint and we have the same fingerprints.” From the animated sitcom Bob’s Burgers comes the prankster, Gene, in Dorbz vinyl form. The Bob’s Burgers Gene Belcher Dorbz Vinyl Figure measures approximately 3-inches tall and comes packaged in a window display box. Ages 14 and up.